Anyone who is thinking of purchasing Samsung’s new Galaxy Note II device once it arrives in stores, might be interested to learn that a dual sim version of the new Samsung Galaxy Note II has been spotted in the wild. The images below shows the dual sim device, but as yet Samsung has not officially announced whether a dual sim Samsung Galaxy Note II will indeed be available. To re-cap Samsung unveiled their Galaxy Note II was earlier this month, and revealed that it would be equipped with a larger 5.5 inch HD Super AMOLED touch screen providing a resolution of 1,280 x 720 and a 16:9 screen ratio. 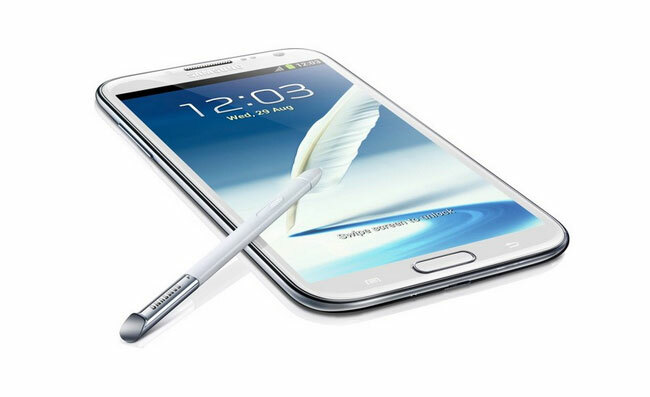 The Samsung Galaxy Note II is powered by a 1.6GHz Quad-Core processor, and will come running Google’s latest Android 4.1 Jelly Bean operating system.